Save 50% and get free shipping on orders over $25! 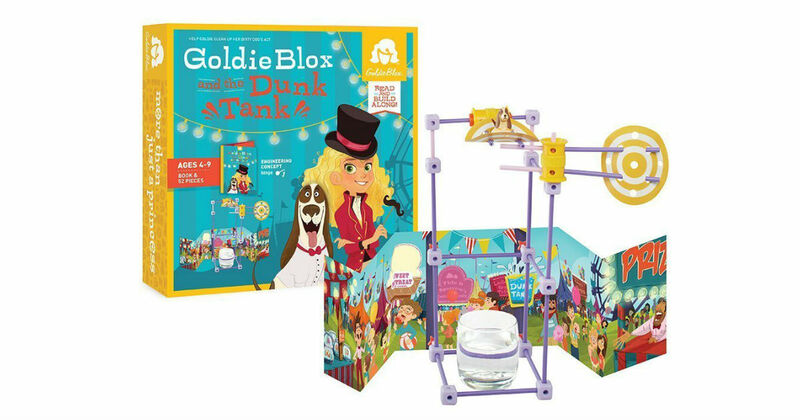 Head to Amazon to get GoldieBlox and the Dunk Tank construction toy and storybook set for only $9.99, regularly $19.99. Goldie has to find a way to give her dog, Nacho, a bath. One problem: Nacho hates water and loves being a dirty dog. After many tries, Goldie finally comes up with the perfect contraption: A dunk tank!